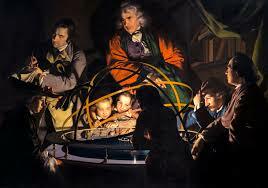 The Age of Enlightenment was an important time in the history of the world and modern western societies. The Age of Enlightenment, or just the Enlightenment, occurred during the 18th century and is known as a time period of great change and new ideas. Specifically, the Enlightenment involved an intellectual movement, in which famous thinkers and philosophers challenged some of the basic foundations of society, including: role of the government, basic human nature, sources of authority and ideas centered on liberty. The Enlightenment built on the earlier work of the Scientific Revolution which occurred in the centuries before the Enlightenment. The Scientific Revolution involved a movement in society towards modern science based on using logic and reason to come to informed conclusions. Enlightenment thinkers would then apply these same values to society and authority and begin to question all aspects of societal structure. The ideas of the Enlightenment can best be seen in the work of several influential philosophers, including: Thomas Hobbes, John Locke, Jean-Jacques Rousseau, and Voltaire. In simple terms, each offered a particular view on human nature and the role of the government in society in their important essays and other writings. To learn more about each philosopher and their ideas, click on their name. Today, the Enlightenment is an important movement to understand because of the impact it had on the events that followed. The Enlightenment ideas pushed European societies away from feudalism and absolute monarchies and towards societies based on liberty and equality. It is considered by many to be central to the ideals of the American Revolution and French Revolution and the foundation of modern western democracies such, as: the United States, Britain, France, and Canada. The central principles of the Enlightenment can be seen in the constitutions of these modern countries and their focus on human rights and human dignity.